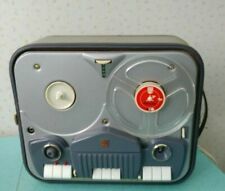 Vintage Philips RK14 Manual Tape Recorder. In good condition, just needs a clean. We think it is working too. With original manuals. They are in Very Good Used Condition throughout. MODEL TYPE ST 459 00. THE MODEL/TYPE IS A ST 459 00. See pictures for details, what you see is what you get. Newnes Tape Recorder Servicing Manual byJohn Gardener's. Covering tape recorder models between 1968 and 1970. very useful reference manual. I am having a huge clearout of personal collection and. Good 'used' condition. 1 lug of 1 catch has snapped off but remains functional. Reel to reel machine & Lid. Presented in a leather effect case. The mounted Reel (a variety of different things contained on it). "Wind" fastfoward function works as expected and t he amplifier tubes and circuitry all appears to be functional. Complete with microphone and carry case. See photos for details and condition. There is a reassuring hum but not tested with tape. Sold as seen and as found. There is a crack on the case near the microphone and a couple of teeth on the zip of the case look poor but zip seems ok. The power lead will need changing if prolonged use is anticipated. The REW does not connect - might be simple solution. We will resolve any issues you may have. WE HAVE NO FACILITIES FOR COLLECTION. 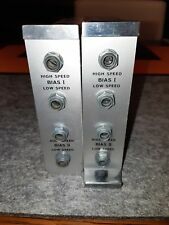 The FF does not connect - might be simple solution. We will resolve any issues you may have. WE HAVE NO FACILITIES FOR COLLECTION. For parts or repair. Untested, needs new belts. 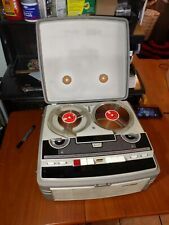 Philips EL3541/15K Reel to Reel Tape Recorder with Microphone. Not tested. Looks ok. Missing side plastic cover? 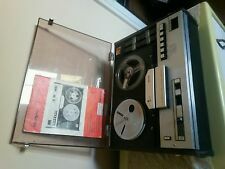 PHILIPS N4414 STEREO 4 TRACK REEL TO REEL 1 OWNER FROM NEW NEEDS ATTENTION. Owned since new. Original instructions. Been in attic many years. Lights up and motor engages but belt must be slipping as does not turn. Still has the reels left in place when last used 20 years ago or so. I'll auction our collection of reel to reel tapes separately as I haven't time today. Will need minor attention only as was always very well cared for. I am not going to be needing it any longer so will hope a new owner can fix and find use for. A very nice recorder in its day. Post or collection south of Cambridge near railway line. First reasonable offer secures. Thank you. Unit has not been plugged in so is being sold as a display item. Tape player looks good but the case isn't so hot. Would make a nice restoration project. I assure you that the item is described as best as possible and has no hidden defects or malfunctioning. I prepare the transport box very carefully. I prepare the transport box very carefully. I assure you that the item is described as best as possible and has no hidden defects or malfunctioning. If you see anything in the pictures that looks like pet hair, it is not. It is the remnants from the disinfecting wipes I use to clean it. Tested, working, ready to go. This might be one of the best sounding cassette players I've ever heard. Beautiful Philips 900 Series FC 911 Double Auto Reverse Cassette Deck with cords. Shipped with USPS Priority Mail or FEDEX. Awesome machine. Fully tested. Has CD dub / sync. Very minor scuffs with both doors opening smoothly. Included a Cleaning Kit for cassettes and 2 av cord sets for playing and dubbing. Great find! Width 36 cm / 14.5". Synthetic lubricants can be manufactured using chemically modified petroleum components rather than whole crude oil, but can also be synthesized from other raw materials. 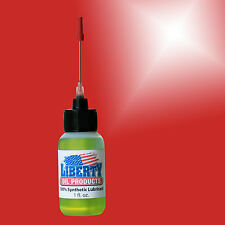 Aircraft jet engines, for example, require the use of synthetic oils, whereas aircraft piston engines do not. 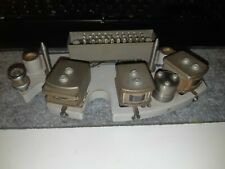 Information on 5 'Continental' models of reel-to-reel tape recorders. Piece is undated but predates zipcodes so it is pre-1963. 10" x 12". ONE REEL TABLE IS BROKEN. NO POWER CORD. UNTESTED MACHINE, NO TUBES !